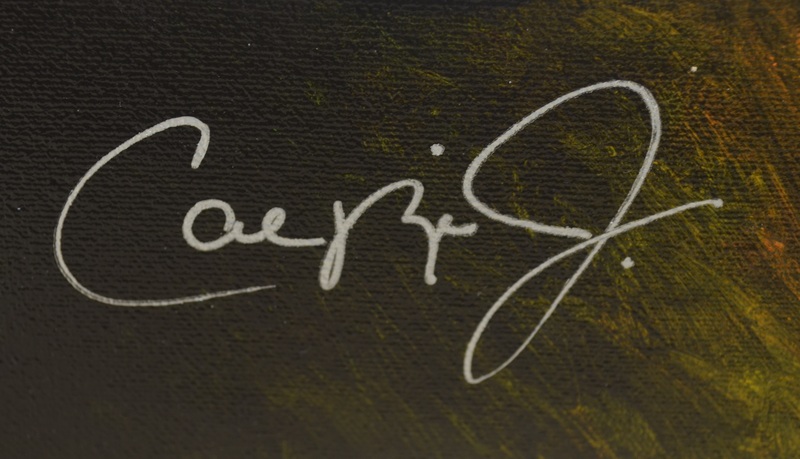 Beautiful original painting of Cal Ripken Jr. created by popular sports artist Leon Wolf. Cal Ripken Jr. will forever be remembered for his Iron Man Streak of 2,632 consecutive games played but he is also a member of baseball's exclusive 3,000 Hit Club, narrowly missed becoming a member of the 500 Home Run Club and is a member of the Baseball Hall of Fame. Prior to focusing on sports art and portraits, Leon Wolf was a magazine and book cover illustrator. Mr. Wolf’s paintings have been exhibited at the Baseball Hall of Fame in Cooperstown, N.Y. His works have graced the pages of Beckett magazine, and have appeared in galleries throughout New York City. Many professional athletes and personalities have purchased Mr. Wolf’s paintings over the years, and his renowned sports paintings can be seen throughout the United States and Japan. 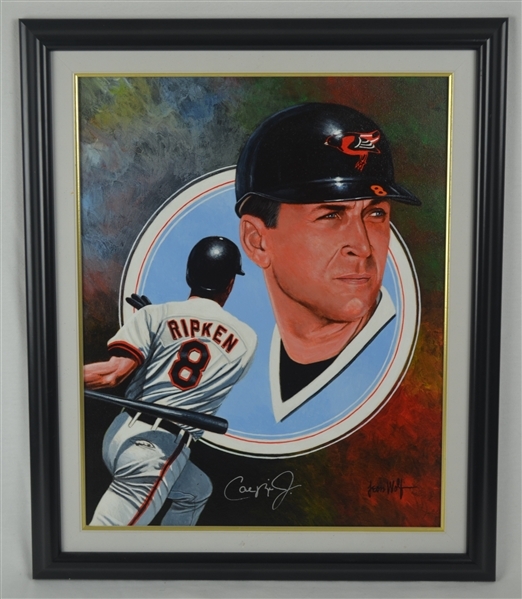 Beautifully framed and ready for display, this one-of-a-kind gem has been signed by Ripken in silver marker.